In this personal and emotionally honest exploration of conflict, the Reverend Nathan C. Walker introduces a creative and compassionate way to develop empathetic responses. He introduces the concept of the moral imagination�a vital character trait used by those who have the courage to project themselves into a conflict and understand all the perspectives, aware that understanding need not imply agreement. 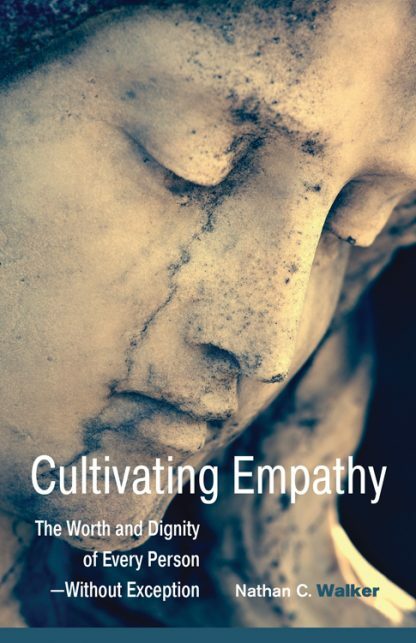 Cultivating Empathy presents a collection of essays about the author's wrestlings with personal and cultural conflicts and his commitment to stop �otherizing��which occurs when we either demonize people or romanticize them. Walker�s remedy for these kinds of projections is to employ the moral imagination as an everyday spiritual practice. He shows that through this approach, we can save ourselves from irresponsibly using our imaginations by cultivating genuine empathy for those we previously held in contempt. We can visualize ourselves playing various characters within a conflict and choose not to play a lead role in the drama. Throughout the book he endeavors to find connection with skinheads, murderers, homophobic preachers, privileged 1 percenters, and Monsanto executives. Nathan C. Walker is the executive director of the Religious Freedom Center of the Newseum Institute in Washington, D.C., where he teaches about the guiding principles of the First Amendment that enable Americans to negotiate religious and philosophical differences in the public square with civility and respect. A Unitarian Universalist minister, he spent 15 years serving congregations in Boston and New York and, for the last 7 of those years, Philadelphia, where he was the senior minister and executive director of the First Unitarian Church.